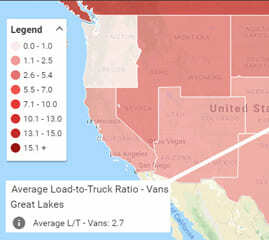 Freight markets were upended by the capacity crunch that followed the electronic logging device (ELD) mandate in December 2017. The next phase of the mandate begins in December 2019, and it may end up being just as disruptive. The new milestone expands the regulation in two dramatic ways. The kind of freight you choose to haul, whether it's through a broker or direct from a shipper, is an individual decision that is determined by a person's wants, needs and goals. Every month I compare my average loaded rate per mile with the national average contract rate. 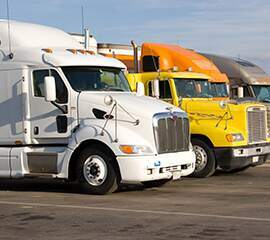 You've likely heard reports that there's a shortage of drivers in the trucking industry. There have also been reports that a record number of heavy-duty truck orders from last year is creating a capacity surplus. So, which is it? How can we have a surplus of trucks and a shortage of drivers? It can't be both, can it? 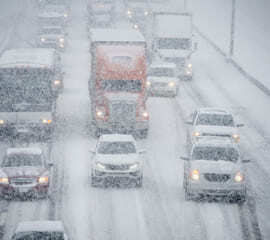 Last week's Arctic weather stalled freight movement in and out of key markets in the Midwest. But the storm passed in just a couple of days, so it didn't have a big impact on national rate trends for the week as a whole. Take Chicago, for example. It's a major freight hub for trucking and railroads. 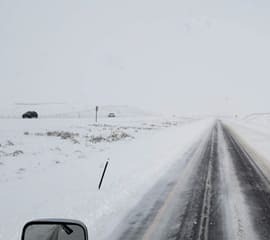 Snow is not exactly rare in the winter, but last week's sub-zero temperatures were a bit extreme, even for hardy Midwesterners. Last year rail intermodel took away loads from over-the-road trucking, but now the pendulum is swinging back the other direction. 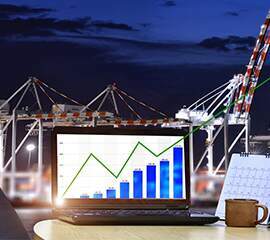 Diesel prices are dropping, which makes dry van transportation more attractive and reduces the cost advantage of rail intermodal for domestic freight. What do you get when you combine an economy that's growing like gangbusters and a truck shortage? That'd be 2018. 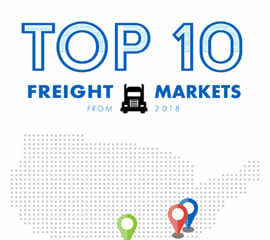 The surge in truckload demand led to record-high rates last year, as freight brokers and shippers routinely had trouble securing capacity. For comparison, there were 161 million loads posted on the DAT Load Board in 2017. Last year, there were 260 million loads posted. 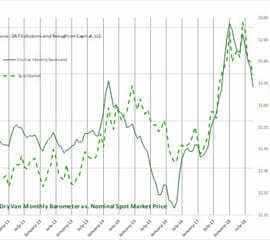 The spot market will likely be the same as it is every year around this time: From January to about the end of March, it will most likely be slow. There won't be the volatility that we saw at the beginning of 2018, because that was a result of the ELD mandate. Don't expect to see as many loads as we did in early 2018. Just because there are fewer loads doesn't mean the world is coming to an end, though. It's just that time of year. 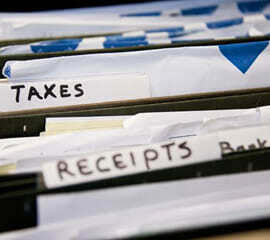 The year is coming to an end, so the clock is ticking on a few things you can do to take advantage of the new tax laws and pay less in 2018. There are several ways carriers and owner-operators can lower the amount they owe to Uncle Sam, but below are the six things you can get started today. 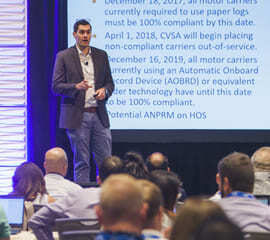 Capacity is becoming more available, as small fleets have mostly adjusted to electronic logging device (ELD) and strict enforcement of the Hours of Service rules. 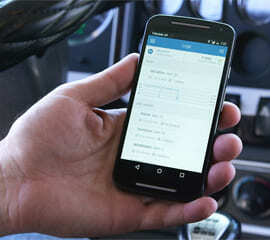 At the same time, new trucks are everywhere, which has caused the average age of trucks in service to decline. I'm doing my holiday shopping early this year. That may seem overly cautious, considering that everybody and his brother is suddenly offering free shipping. Order before December 22, and shipping is free. Some retailers have even guaranteed free, two-day shipping until that date, with no minimum purchase requirements. In a year where capacity has been historically tight, building out carrier networks has been particularly difficult for freight brokers. 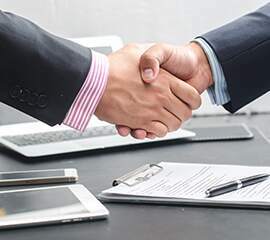 Making sure you have access to the capacity needed to serve your shipper customers also means your brokerage needs to be able to adapt to changing regulatory climates. When demand for trucks slows down, like it does every year during this time, the trend among many owner-operators is to pre-book loads to stay employed until the really good stuff comes out in later in the year. If it's a broker's market, then I try to spend less time getting a really great one-time rate and more time finding value in multiple loads. Having trouble shaking off the cobwebs when starting your day? 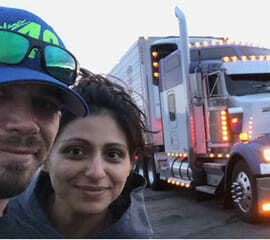 Trucking can take a toll on your physical, mental and emotional health, and a lot of truck drivers fight that sluggish feeling almost daily. There a variety of causes for driver fatigue, but you can put yourself in the best position to feel awake and alert by focusing on these 5 areas. When I married my husband Will in 2002, I thought we'd be an active duty military family for at least 20 years, but that didn't happen. Life had other plans for us. After four years of being a navy wife, we moved our family back to my home state and settled back in as best as we could to civilian life. While the winds of Hurricane Florence have subsided, the effects of the hurricane will be felt for weeks and months to come. More than 30 people have died in storm-related incidents and several towns remain flooded. Some rivers have not yet crested, which could bring more damage. 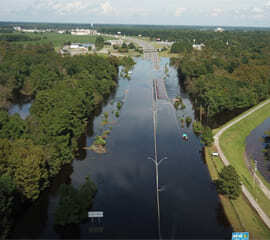 In North Carolina alone, more than 1,000 roads are closed and the city of Wilmington—a port town—remains cut off with no road access in or out of the city. 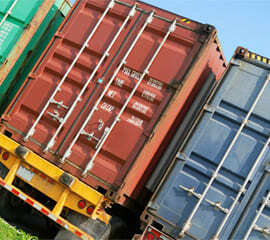 What to do when shipper demands "Where's my load?" If you're a freight broker and your customer calls and demands "Where's my load?" you'd better have an answer. And it better NOT be, "Let me make a few calls and get back to you." 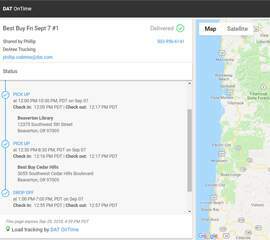 A new feature in DAT OnTime — DAT's load tracking platform — enables brokers to send their customer a link that will show the current location of the load on a U.S. map. 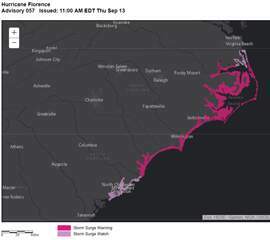 Although the coastal towns in the path of Hurricane Florence are generally at the receiving end of the distribution chain, there are 4 port cities in the hurricane's path. Port of Wilmington, North Carolina - This port is right in the center of the hurricane path and is expected to be the hardest hit. 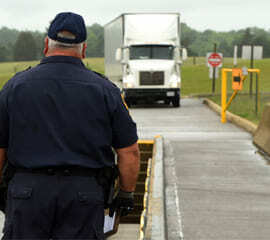 Legislation intended to protect freight brokers when hiring carriers is making its way through Washington. The so-called "National Carrier Hiring Standard" has been included as an amendment within the Federal Aviation Administration (FAA) Reauthorization funding bill and approved by the House of Representatives. The Senate is now considering its own amendments to the FAA reauthorization, which expires September 30. As DAT celebrates its 40th year, we reminisced with Boyer, who serves as Vice President of Brokerage for Keller Logistics in Defiance, Ohio. 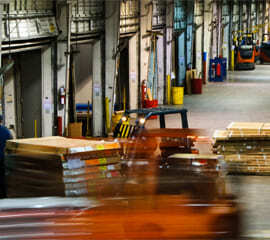 Keller is an asset-based brokerage with a 150-truck fleet, plus packaging and warehousing services. To say that the first half of 2018 was "a period of both extreme volatility and unprecedented imbalance between capacity and demand for trucking services in North America" at first sounds like hyperbole. But if you ask anyone who lived through it, they'll probably tell you it's an understatement. That raises two basic questions: What created the environment of extreme volatility and unprecedented imbalance? The only thing I like better than making money is keeping it. 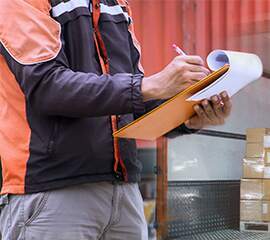 There are two factors that are in my control and that could destroy my business as an owner-operator: my health, and my ability to cover my expenses. This is Part Two, the follow-up to my first three myths about getting carrier authority. These myths, fears, and unknowns held me in place as a company driver for years. I wish I had gotten my authority sooner, and I hope other drivers can learn from my experience. My biggest regret about getting started in this industry was that I didn't get my authority sooner. It was the myths, fears, and the unknown that held me in place as a company driver for years. If you ever meet me at a dock or a truck stop, you might find me talking to another driver about getting their authority and working with brokers. These are three of the myths that get discussed the most when getting started as a carrier. 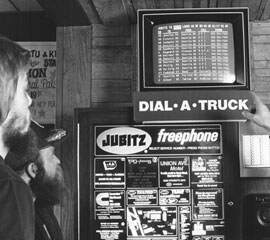 Gene Schultz has been in the trucking business for nearly 60 years. Schultz got his start in the trucking industry working for his father's produce-hauling business in Rochester, Minnesota in the 1950s. When his father died in 1959, Schultz took over the business. At that time Schultz Transit had six trucks. 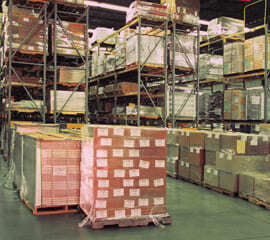 Schultz grew the business to 235 trucks, 242 drivers, and back-office staff of 42, including warehouse and cross-border operations staff in Laredo, Texas. 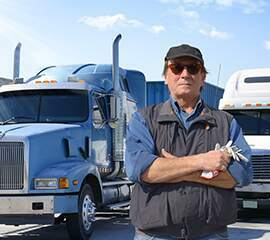 He liquidated the business in 1991, and in 1997 he and two other partners started another trucking company, Hiawatha Transport, which they later sold.